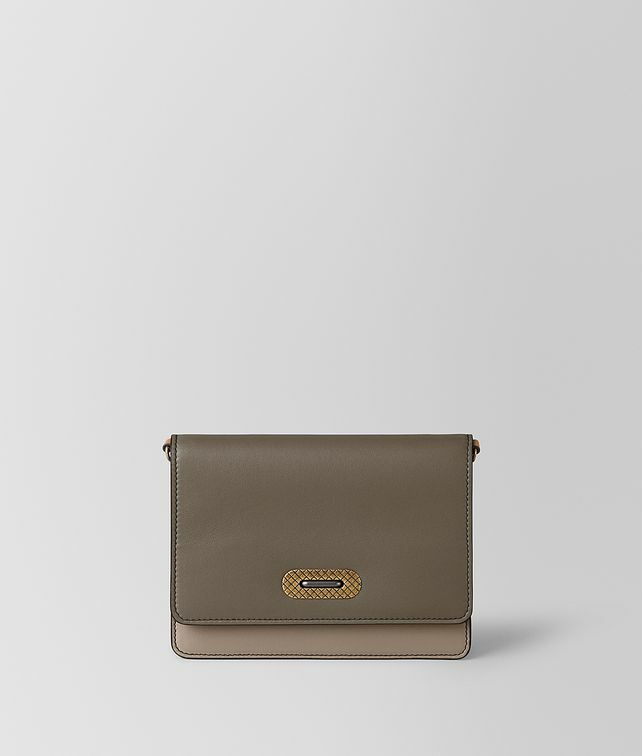 This beautifully crafted chain wallet is made from smooth nappa leather in a bold color-block workmanship. It features antique gold hardware engraved with Bottega Veneta’s iconic intrecciato motif. Finished with a detachable chain crossbody strap, multiple card and note slots, and a zip pocket for coins.